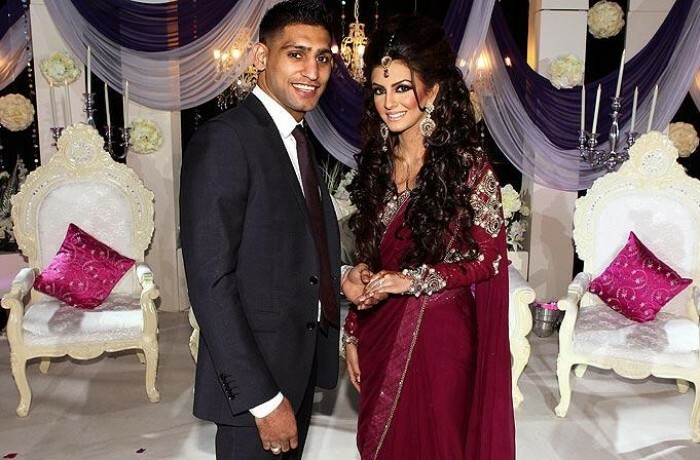 Congratulations to Amir Khan who got engaged to stunning New Yorker Faryal Makhdoom at the end January this year. They exchanged rings at the Bolton Wanderers Reebok Stadium in front of 1,000 of their nearest and dearest at a lavish engagement party. Amir presented his wife-to-be with a £100,000 platinum ring encrusted with three staggering diamonds. In return, Faryal gave her beau an equally stunning platinum ring. The couple are due to wed later this year. Previous: Inspirational Designs - A Rehearsal Dinner Remix!